It’s important for everyone to be able to express themselves in their own way, which is something that rang true for Web entrepreneur David Inman. ‘Nerd’ culture in particular has become popular and Inman wanted to develop a haven for these so-called nerds, where they could find T-shirts and other products to help express themselves through their sense of style. With plenty of shirts with Star Trek references, math and science jokes, and sarcastic one-liners on them, David Inman already had plenty of excellent products available for purchase on his website, www.NerdKungFu.com; what he was missing was the right avenue to advertise his product lines. He needed a way to find a customer base that was looking for the types of T-shirts and gifts that he sold on his website, which is eventually what led him to the marketing services offered by iePlexus. 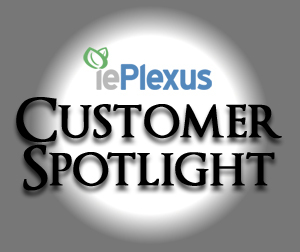 “I did all the research, found some other people that were happy with iePlexus, and figured I’d give it a try,” Inman stated. Partnering with iePlexus led to the launch of Inman’s blog at www.TheNerdBlog.com, where Inman publishes posts reviewing films, discussing Star Trek, and offering additional commentary on nerd culture. In the first two months that Inman started blogging with the guidance of iePlexus, he noticed a tremendous spike in his customer base. He was able to get even more exposure to his website through social networks like Facebook and Twitter that were also set up with the help of iePlexus. “Every retailer thinks their customers are smarter than the average customers, but I think mine actually are,” Inman explained. With assistance from iePlexus, Inman has been able to develop a regular customer base and get his intelligent and funny T-shirts out to people who are looking for exactly what he is selling. One in 58 men and women will be diagnosed with melanoma – the most aggressive, and often deadly, form of skin cancer – during their lifetime, according to the American Melanoma Foundation. While such a dismaying statistic is a blindsiding truth to many, Andrea Licata-Bernath knows about the dangers of melanoma all too well. It grows naturally. Deposits of white clay, waiting to be unearthed, are scattered throughout the lands of Boleslawiec, Poland, a tiny town just outside the German border. And from this malleable substance, a magnificent array of stoneware is crafted by the locals. More commonly referred to as pottery, it was the brilliant vibrancy and intricate design of these handmade kitchen creations that attracted Kiki Nohmer – along with a handful of other military wives – to cross into Poland. While stationed in Germany for five years (then two more in Belgium) with her husband, who was an active solider in the United States Army, she made frequent expeditions to Boleslawiec. 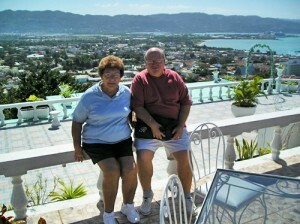 People entering into an online business are often wary of selling a product that is offered by many other sites, but Judee and Terry Koubas are proof that a sound business plan, dedication, and smart marketing can yield sales even in a high competition market. That collection of unique items includes a comprehensive selection of barware products. In addition to standard glass stemware and cocktail glasses, the site is also outfitted with accessories such as coasters, decanters, wine racks, and more. Coupled with these traditional barware items, the site also deals in less conventional products such as sake sets and absinthe fountains.